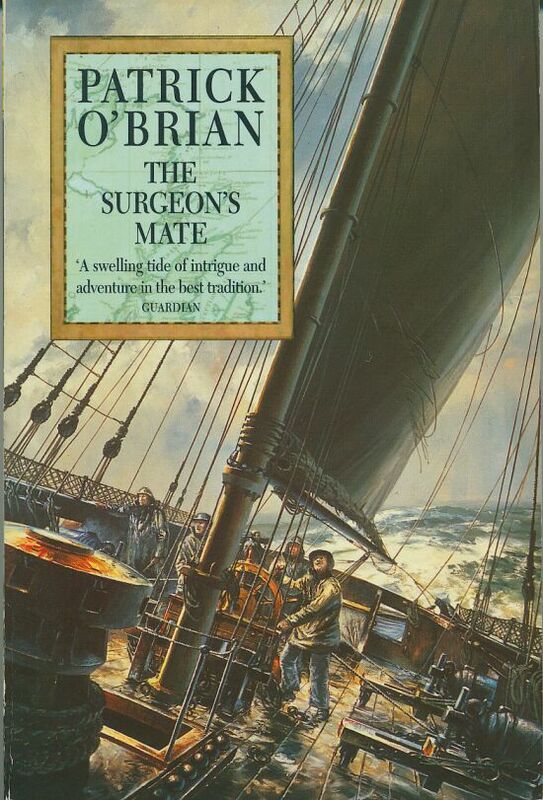 With time running out on this month's discussion of Surgeon's Mate, I thought it appropriate to write a bit about the cover illustration by Geoff Hunt. Earlier this summer in Mystic, Geoff mentioned that he particularly enjoyed painting this scene. The vessel shown is the Ariel, an 18 gun 3 masted ship-sloop. Unlike the larger frigates, this type of vessel had a single flush deck extending from the forecastle to the quarterdeck, shown here. 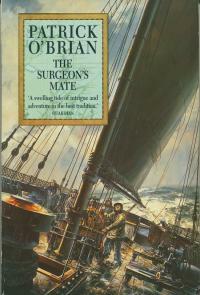 The mast shown is the mizen, supported by shrouds and backstays, and with a fore and aft spanker set. In the foreground is the capstan. The line wrapped around it is cable-laid (left hand or S twist). The square sockets are for the capstan bars. On the top surface can be seen smaller square holes; these are for pins to help fix the bars in place. Note the Roman numerals. The capstan bars were similarly numbered because they were custom fitted for a particular socket hole. Next to the capstan is a wooden shot garland or rack, holding 6" diameter round shot ( a sailor would call these shot, rather than cannon balls. Balls usually meant the small lead projectiles fired from muskets). The two guns shown are 32 pounder carronades. The guns recoiled by sliding along the bed of a carriage, which could pivot from side to side. The long screw through the cascabel was used to elevate the gun, rather than the wedge quoins used on long guns. The center of activity is the wheel, with two helmsmen supervised by a quartermaster. Just in front of the wheel is the binnacle, a three compartment cabinet holding two compasses and a center lamp. The helmsmen are blocking a view of the tiller arm connected to the rudder. In a frigate, this would be below deck, overhead in the gunroom (in the movie, the moving tiller is seen during the second dinner scene, prompting the cheers of the officers, and Stephen's remark that something nautical probably just occurred). On a sloop such as the Ariel, the tiller arm sweeps across the rear of the quarterdeck. Note how the steering ropes run from the wheel. First sideways to a block fixed near the guns, then straight back, and another turn around a second block to the hidden tiller arm. The bareheaded fellow at the stern is likely Stephen. I asked Geoff if Jack was in the scene. He would not answer directly, but smiled and remarked that the windward side of the quarterdeck was the proper station for the captain of a vessel.